There are few accounts in the higher education literature of mixing methods at the survey design stage and very little guidance targeting higher education researchers and practitioners who want to implement a mixed methods approach to design survey tools. This article explores an eight-step, iterative, mixed methods approach for creating a longitudinal, multi-institutional survey to assess how participation in a comprehensive college transition program is related to students’ psychosocial and academic outcomes. In the context of a college transition program study, our mixed methods strategy to develop a survey instrument included initial qualitative data collection and review of psychosocial constructs, psychometric pilot, baseline survey, focus groups, case study research, cognitive interviews, follow-up pilot, and follow-up survey. 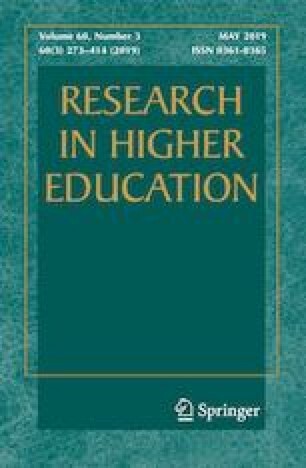 This article makes a unique contribution to higher education research, providing a potential model for others seeking guidance in mixing methods at the study design and instrument development stage. Major lessons learned from the mixed methods survey design process are discussed. This work would not have been possible without the important contributions, input, and guidance of our research partners at USC, AIR, and ISU. We are especially indebted to Matthew Soldner and Mark Masterton of AIR for the foundational work they contributed to in the development and administration of the surveys described in this article. Inkelas, K. (2007). National survey of living-learning programs. Report of findings: 2007. Retrieved from http://drum.lib.umd.edu/handle/1903/8392.